We’ve written about indoor air quality for homes before, since making IAQ (indoor air quality) improvements is part of what we do. But it’s urgent to talk with customers and potential customers in Southern California because of the recent destructive fires that blazed through the region during November. By the time the fires ended, more than 20 cities in California had unhealthy air. The Woolsey fire in Malibu was the most destructive for us in Southern California, and it released into the air many harmful particles that can lead to respiratory issues and worsening of previous medical conditions. Even though the fires are vanquished and we’ve had rain, air quality doesn’t automatically switch back to “healthy.” The short-term concerns about being outside may be gone, but your home may be suffering from poor air quality for the near future. Sadly when homes burn the smoke is much more toxic than the smoke from a wood campfire. But you can do something about the air quality inside your home! We recommend homeowners change the air filter in their HVAC systems every 1 to 3 months: Interesting fact, the stronger the filter, the more frequently it needs to be changed. Don’t leave a filter in place that looks like this! We advise homeowners to change out their filters, in the wake of the fires, regardless of how long they’ve been in place. 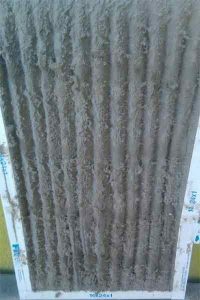 Many unhealthy particles can be trapped in the filter mesh because of the spike in air pollution, and if these filters remain, they will continue to spread these particles around the home. These air filters weren’t designed to improve air quality—but they can definitely make air quality worse if not swapped out. One of the best ways to protect your air quality from the types of pollutants that come from wildfires is with a dedicated air filtration system. This is in addition to the HVAC filter already in place, which we just mentioned isn’t made to improve air quality. (Its job is protecting the interior of the HVAC cabinet.) A filter of fiberglass mesh weave can stop most larger particles down to .3 microns, and this takes care of most of the residue from fires. Please allow professionals to select and install the filters, since a filter that’s too strong may damage the HVAC system and choke off airflow. Smoke and other chemicals that may be in the air often pass through mesh filters unless the filter is extremely strong—and that’s often not something you can have installed in your house. 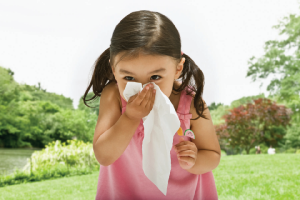 We recommend a pairing of an air filtration system with an electronic air purification system. The air purifier can remove the tiniest chemicals and VOCs moving through your air, as well as smoke. There are a variety of purifier types, and our experts are glad to help you find the ideal one. We have many years of experience with indoor air quality services in Van Nuys, CA and throughout L.A. and the Valley. Arrange for an appointment today so we can help you get through some tough air quality days—and enjoy great air quality in the future. Call our friendly technicians 24/7 for exceptional customer service! Kilowatt Heating, Air Conditioning and Electrical serves Los Angeles and the San Fernando Valley.